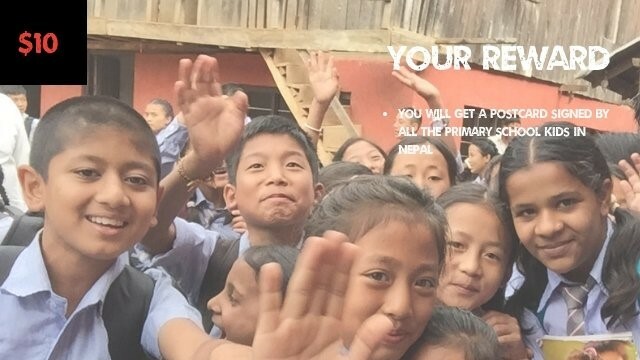 GIVING BACK: Funding a Primary School in Nepal - StudyinCanada.com! My colleague Annabel Kalmar is trying to raise money to build a primary school in Nepal. This is an exciting project and if you can I encourage you to make even a $5 donation. It is the season of showing kindness and giving. We are seeking to raise $10,000 to build a school for 30 primary school children from 12 families (soon to be 20 families) in Nanglapha, Panchthar District, Nepal. Currently, these children are located at a 2,000 m altitude and must walk even further up the hill to go to school. They range in age, as young as five to six years old of parents who are tea farm cooperative members and often work. They and their siblings often go to different schools. The school will consist of three rooms and a kitchen made from bamboo and covered on top with a polycarbonate roof. The building format will begin with the foundation, classroom construction, library, furnishings, and kitchen. The total projected cost is estimated to be $10,000 with an incremental cost breakdown available on the pitch site. The parents of these kids are cooperative tea members of Tea Rebellion’s partner farms Kanchanjangha. We visited this farm in June and together with my travel buddies Tracy and Nishchal decided to help these families get a headstart on their education and ease the logistical challenges. With a small primary school and kindergarten, the kids will be able to go to school close by while their parents continue to work in the fields and thereby stay up in the mountain side which offers them much better living than going into urban areas. We have raised $5,781 to date and our funding goal is $10,000. We only have 12 days to go as the campaign is closing on November 30. Can you help us succeed and extend kindness all the way to the remote regions of Nepal and the Himalayas? You can become a backer from $5 onwards and there are lots of amazing organic teas rewards as well to ease the giving. How amazing to think that you will have helped these children access a world of learning and ideas and help contribute to their growth and development. Full project details are in our pitch video and profile - CLICK HERE FOR DETAILS.